If you are looking for some fall inspired activites that take very little prep time? This is for you. 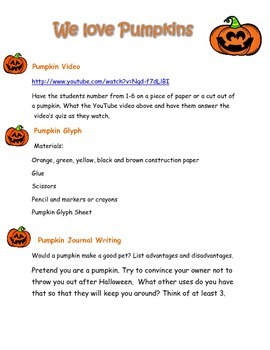 These 5 fun activities are centered around pumpkins. The activities include research, math and writing. They can be used individually, as centers or even for your fast finishers.